Happy people play more and rest more. As an ambassador for playful simple waysof self-development, ME-time and the Knowing, this snippet of information doesn’t come as a surprise. Understanding the natural, built-in human ability to learn from experiences, I know how important it is to have ‘ transformation’ time. This time, where you are not concerned with actively taking more input in, or giving output out, allows your impressions to be arranged in a new meaningful order. In our modern day living, we (as a species) seem to have decided we’d be better off without. I don’t know, I am not of that opinion.... ! But look around and see how it seems to be deeply ingrained in society that ‘doing nothing’, not being busy consuming or producing at any given time when you are awake, is a ‘ bad thing’ and a hazard to (your existence in) society. I am of the opinion that this may be common practise, but not respecting our natural ways and therefore not producing sustainable satisfying healthy results, in the long run. 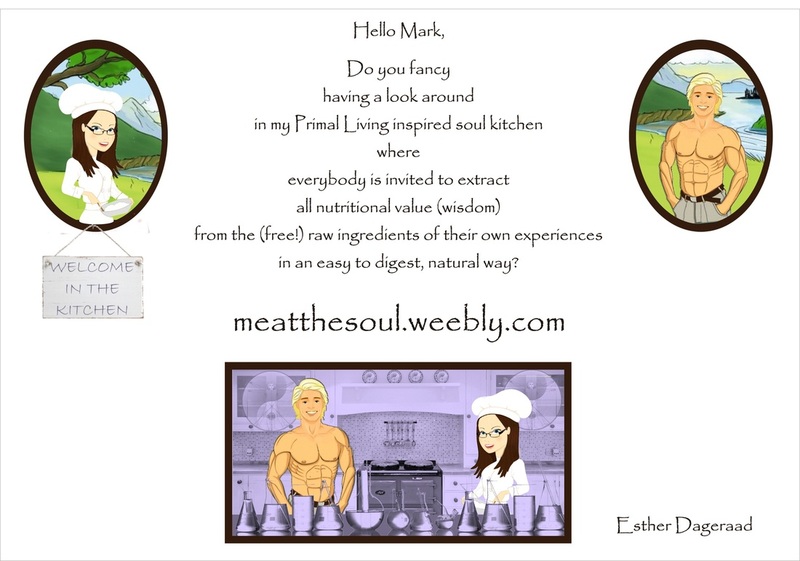 When I came across the book The Primal Connection by Mark Sisson, I was very much taken with the insights of Primal Living. Doing things in a way that made our pre-historic ancestors thrive and live in harmony, made so much sense. Does that proclaim we need to go back to living in caves and hunting and must forget about the modern day comforts in order to live in harmony with ourselves and our environment? No, I don’t think so. Evolution is hardly ever about going back and letting go of ‘Good Things’. But in downgrading natural ‘ playing’ and ‘resting’, we may have compromised a couple of things we do label as Good Things: a Good Mental Health, Harmonious Relationships (with ourselves and others) and a sense of Wellbeing.. of being happy with Life.